We can supply an experience of a lifetime with a trip to the Singapore Grand Prix, our packages will help you experience the sight, sounds and atmosphere of the Grand Prix in the Far East. Please call us at Grand Prix Adventures on 01382 480 077 to find out more on what is on offer at this great event and more on our hospitality itinerary. We have many happy guests who come back time and time again. Don`t just take our word for it, please read some kind words from our clients on our GPA Testimonial page. This spectacular race takes place in the streets of Singapore being set apart from the rest of the races due to the fact it is raced at night. The public roads of the Marina Bay area are closed and powerful floodlighting is set up for everyone to see exactly what is going on. More about this race can be read further down this page, also below is a list of the Hospitality Packages available and we hope to see you there soon! VIP Grand Prix Hospitality Packages Available for the GP in Singapore. A popular package that will have you staying 5 nights at the 4 star Carlton City Hotel in Singapore. The hospitality for our guests is provided by the Fairmont Hotel/Swisotel which has fantastic views overlooking the race track. The Gold package is a step up and you will find yourself staying at the 5 star Fairmont Hotel which is actually located ON TRACK. You will not only experience a great view of the circuit, but have an open bar all week, gourmet buffet for the 3 nights over the time of the race and also airport transfers are included. This premium experience will be difficult to beat. You will spend 8 nights in Singapore; 3 nights at the Marina Bay Sands OR Raffles Hotel and 5 nights at the Fairmont ON TRACK. You will enjoy spectacular corner views from Track-View rooms at the hotel and before you start your holiday you will be picked up by Limo and driven from the airport to the hotel! The World Famous Raffles hotel is the location for this package and you will be staying in a Courtyard Suite with VIP transportation and spectacular views of the circuit. Hospitality includes private balcony, TV, free Champers and private washroom. If you already have accommodation sorted in Singapore and just want to see the race in all it`s glory then why not join us, we have a variety of viewing options for the race to be enjoyed. So please come along and join the party! The exotic and exciting asian island city-state! Singapore is a Global City and Sovereign State and is often called the Lion City. Situated in the the South East of Asia on the Malaysian Pennisula it makes an ideal location for a Far East Grand Prix Experience. Apart from the main island in the shape of a diamond, Singapore consists of 62 other islets. Many lovely tropical flora, parks and gardens can be found throughout the territory. For a trip of a Lifetime! In 2008 Marina Bay Street Circuit was opened!! The Singapore GP just like the Grand Prix in Monaco has its setting throughout the streets of the city, but that is where the similarity stops as this race is battled out at night under floodlights. Called the Marina Bay Street Circuit it is the first street race in Asia and the first to be driven at night! The Singapore Grand Prix started it`s engine only back in 2008, but since then has become a firm favourite amongst the Formula One fans. Not only are the surroundings unique, but also it is raced after dark and the floodlight Marina Bay track with some 1500 floodlights lights up the entire circuit with excitement. 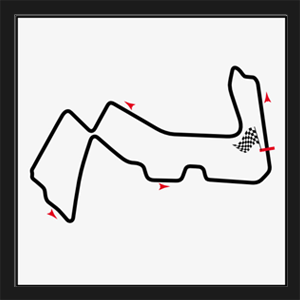 The circuit is challenging for the F1 drivers being that it is 5.073KM (3.267 miles) long and featuring a breath taking 23 corners. It is held in temperatures that can reach over 30 degree heat and upwards of 70% humidity. You can relax and watch the race in comfort and enjoy the hospitality while the drivers can lose nearly 3kgs in weight due to the heat and humidity that occurs at the race. We offers a variety of packages for that once in a lifetime trip which can be viewed above. You can stay ON TRACK and at the Famous Raffles Hotel and relax with a Singapore Sling. There are great views of the race where the cars scream by at speeds reaching over 200 mph. The Singapore Grand Prix is like no other GP with more of a festival feel than an event with live performance occuring after the race from stars of the music industry including Beyonce, Katy Perry, Maroon 5, Shakira, Mariah Carey, Adam Lambert, Chris Daughtry and Missy Elliot, Singapore really does put on a spectacular show over the full F1 weekend. In 2016 we can look forward to performances from Kylie Minogue, Bastille and Queen with Adam Lambert. Jenson Button (27-08-2016): The British Driver for Mclaren-Honda believes he is on the way back up, not only does he feel that his driving is at its best at the moment, but also Honda`s recent performance improvements with the upgrade of the internal combustion engine and the turbo compressor should shine through when they get to Singapore. Jenson is currently lying in 15th, Fernando Alonso his team mate is 2 places above and his team is 7th in the Constructors Standings.